People often have not heard the term “direct cremation”, but by now most people in the UK will know a friend or relative who has had a direct cremation. Direct cremation is a simple funeral where there is no service at the crematorium. The deceased person is collected, cared for in a funeral home, and then at an appointed time taken privately to a crematorium. The committal is observed by one of our team. The ashes can then be scattered or collected. Caledonia Cremation specialises in direct cremation only. We offer the same dignified service to every single person. Equal for everyone. It is not a question of rich or poor: did you know that David Bowie opted for a direct cremation? Who attends at the crematorium? A direct cremation has no service to attend at the crematorium. Most people do organise a service or celebration somewhere else, normally on another day, perhaps with the ashes. We can assist you to plan such a ceremony held away from the crematorium. One of our team observes every committal at the crematorium. What charity work do you do? Caledonia Cremation is owned by the Scottish anti-poverty charity Community Renewal Trust (charity number SC043684). Our Board of independent Trustees and our Community Steering Group make decisions about what charitable work to support. Compared to others, our service has some additional advice available to bereaved families seeking a direct cremation. In the long term any profits will be reinvested through Caledonia Cremation and Community Renewal Trust. This will be invested in grief counselling, advice and education in Scotland’s poorest communities and for others who are most affected by bereavement. The neighbourhoods where we currently do most of our charitable work are: Muirhouse, Torry, Ardrossan, Craigmillar, and Govanhill. Why don’t you offer burials or traditional cremations? Hopefully in the future there will be not for profit organisations across Scotland offering all sorts of different funeral options. If you are thinking of starting a new project, please contact us. For now, by offering only direct cremations we can be specialists and provide an affordable option for everyone in Scotland. How do I start arrangements? Keep it simple. Call us today on 03000 113 311. * Or book online here. We never make unsolicited phone calls. Do you offer bereavement counselling? We can provide advice and telephone support to any family member of a deceased person in our care. For a small number of people who have no other support available from professionals or family members we can also offer a limited amount of bereavement counselling shortly after the cremation. This may last up to three sessions. We will only start if both you and the counsellor are clear that it is entirely appropriate for you and if our booking system shows sufficient availability. We can tell you about other excellent organisations offering counselling. Their bereavement counselling starts six months after a bereavement. For many people it may be appropriate to wait rather than use our counselling service. Just speak to us if you want to hear more about what we can and cannot offer. Do you not want people to have a celebration/memorial? We want everyone in Scotland to have the best send-off they can afford, one that is both dignified and personalised to them. This absolutely should include whatever style of celebration, service or memorial ritual they or their family/friends want. Indeed, celebration and memorial rituals are a very important part of the bereavement process for people. However, currently the high cost of funeral packages means that people may be able to pay for a traditional service at the crematorium but then struggle to afford to cover the costs for the wake or for a memorial and then have to borrow money to do so. In fact, one in seven people now borrow an average of £1300 for a funeral. And while some find traditional services comforting, others find them impersonal and time-limited and are wanting more flexibility and personalisation when it comes to the funeral process. Our approach allows for this. For some people our service is not the right option. For others though, we can offer a dignified way to provide the aspects of the funeral you can’t do yourself, allowing whatever money is left to go further. And if you then want help to arrange your own celebration, we can assist in the planning of that. Why are you not a free service? The funding we receive is to help us offer a simple, dignified alternative, grow into a flagship Scottish social enterprise, and address funeral poverty more widely. It isn’t to pay for individual funerals. If you can’t afford to pay you may well be entitled to a Government Funeral Expenses Payment and we will help you claim this to cover your costs. Do you re-use coffins? Are cremations communal? Never. We believe in dignity for everyone. We would absolutely never work with anyone who did this. Why would I choose Caledonia Cremation? We are Scotland’s first and only not-for-profit funeral service. We are specialists in direct cremations and are proud to offer a simple dignified low cost, low key and low carbon cremation. If you wish to “pay one forward” for someone who dies in abject poverty you can donate. You can also donate towards our bereavement support projects. How are you so low-cost? Caledonia Cremation is a specialist service offering only direct cremations. We don’t own a fleet of hearses. We have no top hats and no canes. What we do have is excellent service and compassionate staff who are selected because of their commitment to helping people, their training, and who consistently demonstrate dignity and respect. Other funeral directors we know also offer excellent and compassionate service and they can and do provide some direct cremations, however, they will tend to have more costs to cover and are not designed as a not-for-profit organisation. Caledonia Cremation uses a number of local authority owned crematoria in Scotland. We do not have our own crematorium. All crematorium fees are included in our price, these are the biggest single cost we have as we do not get any discount for being non-for-profit. You will be getting the same excellent service as anyone else using the crematorium – we only use locations where we can inspect the cremation facilities and where our staff can observe a full committal. Are you available near me? If you are anywhere in mainland Scotland – YES. We are available for people in: Edinburgh, Glasgow, Aberdeen, Inverness, Dundee, Perth, Stirling, Aberdeenshire, Angus, Argyllshire, Clackmannanshire, Dumfries & Galloway, Ayrshire, Dunbartonshire, Renfrewshire, Lothian, Highland, Inverclyde, Moray, Lanarkshire, Kinross, Scottish Borders and Fife. Why not use cardboard coffins? We are committed to environmental sustainability, this is a requirement of support from Scottish Government. Our direct cremations will tend to be more environmentally friendly than a traditional cremation, not least because there are fewer hearses and limousines carrying people to and from the crematorium. As part of our commitment to sustainability we use simple solid pine coffins which are sourced from FCS Certified forests rather than cardboard coffins. Cardboard coffins make sense for a burial but actually release more carbon dioxide than a pine coffin during a cremation. Can I register my wishes or pre-pay? You are able to Register your Wishes with us. This means filling out and returning a short form by post. You should record two versions – one sent to us and one that your family/executor will see. Please email or call us and we will send you one. When do I need pay? We will get things started straight away before payment is made. Typically, we require payment (or at least a 10% deposit) before we make the collection. But if you are calling to get started and don’t have the money yet, don’t worry – just call us and tell us about your circumstances. You can make all payments by card via the phone, by card via this website, by cheque, by online bank transfer, or by bank transfer at your local bank branch. To do a bank transfer in person, simply present the info we send you at your bank. If you prefer to pay by releasing funds from a deceased person’s bank you also need to present to the bank an original registration of death certificate. We will tell you more about this simple process. For next of kin arranging a funeral with no savings and no access to money from the estate of the deceased person there is a government grant available, the Funeral Expenses Payment. If you are likely to be eligible we will help you claim this as part of our service, the grant will not be paid until a few months after the cremation. There are also various other forms of financial support available that we can help you apply for. Whatever your circumstances, call us and tell us about it. We can provide some help to everyone. We understand that your finances may be complicated and funerals can be expensive – it’s why we were set up in the first place! We recommend that funerals for children or infants are done by a funeral director offering a range of options. This allows the family to take time to consider what sort of funeral is most suitable. Since we are specialists in direct cremations without the option for a burial or service, we do not currently offer funerals for children or infants. Do speak to us if ever you wish to discuss this policy. There are some special considerations around cremations for people who are overweight or very tall. This can be because of the limitations of crematorium equipment or because there are some additional costs incurred. Since this is a complex topic, we recommend that you discuss this with our advisers by calling 03000 113 311. How do I collect the ashes? Many people opt for the ashes to be scattered in the crematorium’s Garden of Remembrance, others would prefer to have the ashes returned. When you are ready, we will ask you what your preference is – but you can take your time to decide. Your loved one’s ashes can be available for collection at the crematorium or at one of our local centres (Edinburgh, Glasgow, Grampian, Ayrshire). If you require a special casket then we can contact the crematorium who can arrange this separate service for you. We can also offer delivery at home, but please ask us about this as there may be a delay or charge as we do not trust this service to couriers. Some people have other wishes for ashes such as making jewellery or fireworks. We can help you access these services after the cremation.  Community Renewal Trust as a charity are committed to raising awareness and supporting people facing funeral poverty. You can Donate if you wish on our website and every penny will go towards the fight against funeral poverty and also into the education, training and information on Funerals and bereavement to help people when they need it most. Also if you want to raise money in other ways i.e. coffee morning or sponsored walk etc. give us a call on 03000 11 33 11 and our advisers can give you more information on how to do this.